Albert Camus once said that everything he knows, he owes to football. Apart from existential philosophers, the divine pitch has also seen interpreters of great drama, as well as the titans of sports. Zidane: A 21st Century Portrait is true to its name; a biography of one of the undisputed kings of football, Zinédine Zidane. The movie is a rare hybrid of a sports document and art installation. Filmed with 17 synchronised cameras, the movie follows one full game of Real Madrid playing football, the camera constantly on Zidane. The viewer gets a unique opportunity to watch one of the greatest footballers of all times. 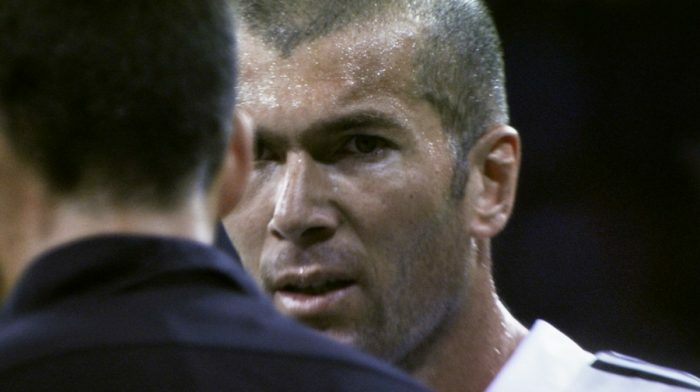 By drilling into Zidane’s intense state of mind, the movie will also help understand why Zidane would headbutt Marco Matterazzi’s chest at the 2006 FIFA World Cup final, where France played against Italy.